Can Guterres resolve the huge refugee problem? LAST week’s visit to Africa by United Nations Secretary-General Antonio Guterres was an eye-opener and a troubling sign of the world community’s weariness in addressing a never-ending problem. Guterres was in Africa where three of the world’s poorest countries played host to almost three million refugees. This is a subject that is near and dear to his heart, having handled the issue of refugees as its international spokesman for more than a decade. For 10 years, Guterres was the United Nations High Commissioner for Refugees (UNHCR), often visiting refugee camps in countries that could ill-afford to house them rather than the more affluent refugee camps in the Western world. This time, he came not as the head of an international agency that often had cap in hand for handouts and solutions to an unresolvable problem, but as the head of a world body, with the collective voice of 193 nations. 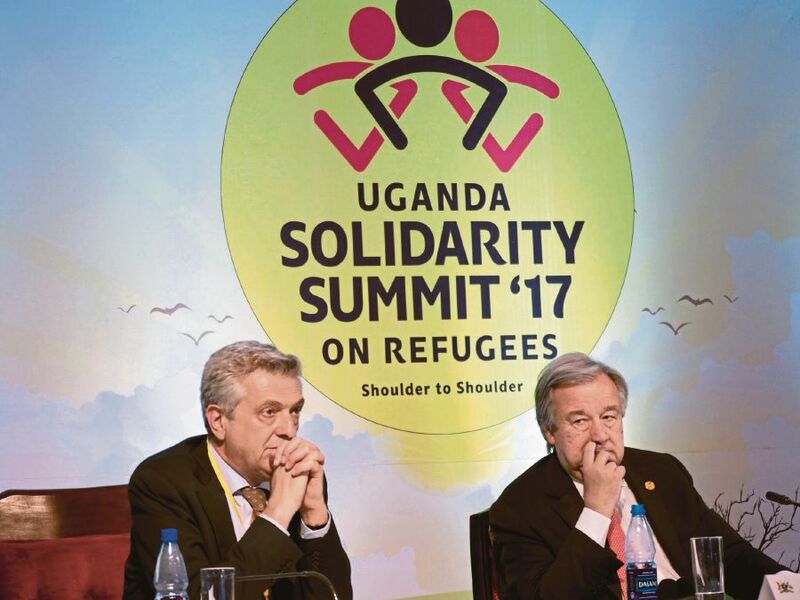 Guterres attended the Solidarity Summit, an event designed to rally support for refugees and their host countries through the channelling of funds, donations and other material programmes. In terms of timing, the summit was well timed to flow from the observance of the World Refugee Day on June 20. However, in terms of attendance, the summit saw the attendance of only five heads of state — all from Africa. No Western leader made an appearance at the summit, which was expected to raise more than US$2 billion (RM8.6 billion) for the refugees. Considering that the main donors to the UNHCR Fund are the developed countries and the European Union, their absence at the summit speaks volumes. Normally, a donor conference is successful when more donors attend, with each trying to outpledge each other. A summit in which the main attendees are those for whom the money is for does not — as a rule — bode well. It was not as if there were no representatives from the donor countries. Nearly every donor country was represented at the summit, but it was the level of representation that was of concern, particularly considering that there was a need for the representative to pledge financial support for the problem. Guterres was scathing in his speech, blasting the West for “selfishly closing their doors”, while labelling countries such as Uganda and Ethiopia as “inspiring because they are often the countries with the least, doing the most for refugees”. There are an estimated 22.5 million refugees worldwide, with 1.4 million originating from South Sudan. Uganda, South Sudan’s closest neighbour, has in the past year seen a marked increase in the number of refugees pouring over the border. The numbers have jumped from half a million a year before to more than one million this month. Ethiopia, the second largest host in East Africa, currently has no less than 790,000 refugees, with many more South Sudanese refugees likely to come. Incidentally, Turkey is the biggest host of refugees, providing shelter to some three million refugees, most of whom are from neighbouring Syria. The 22.5 million figure is sometimes further padded with the number of displaced persons, and often mistakenly quoted as “more than 65 million”. Even at 22.5 million, there is a staggeringly one refugee for 330 persons in the world, especially now that the world’s population has reached 7.5 billion. In 2005, when Guterres was with UNHCR, one of the stops on his tour of refugee-prone countries was South Sudan. Ironically, the atmosphere then was one of hope, as the peace agreement between Sudan and South Sudan was being signed. A decade on, the prospects look grim as ethnic violence in South Sudan rages on with no clear end in sight. Blame, perhaps, should also be apportioned to Guterres’ own style of leadership. In the decade that he was the high commissioner, he transformed UNHCR from an international agency mandated with finding a solution to the refugee problem, to an agency that was designed to merely “handle” refugees wellbeing. In 2014, UNHCR recorded about 14.4 million refugees in its annual report. Of that number, 126,000 people were either resettled in third-world countries, or returned to their home countries. For last year, with the 56 per cent increase in the number of refugees, the number of refugees who found some sort of solution to their plight stood at 50.2 per cent. This means that fewer people were resettled last year than in 2014. The world has not seen a world war since 1945. But it does not mean that there has been peace for the last 72 years. As the number of conflicts and ethnic violence around the world rises, it will be interesting to see how Guterres, in his capacity as UN secretary-general, resolves this seemingly insurmountable problem. Vigilantes: Nigeria's next security problem? Are we doing enough to address the problem?